Despite widespread habitat loss, there’s hope! The Ring-necked Pheasant is likely the best-known bird in North America that isn’t native to the continent. Indigenous to Asia, Ring-necked Pheasants were introduced to Oregon in 1881. The birds thrived in rural landscapes for many years, but modern industrial farming practices have diminished pheasant habitat. 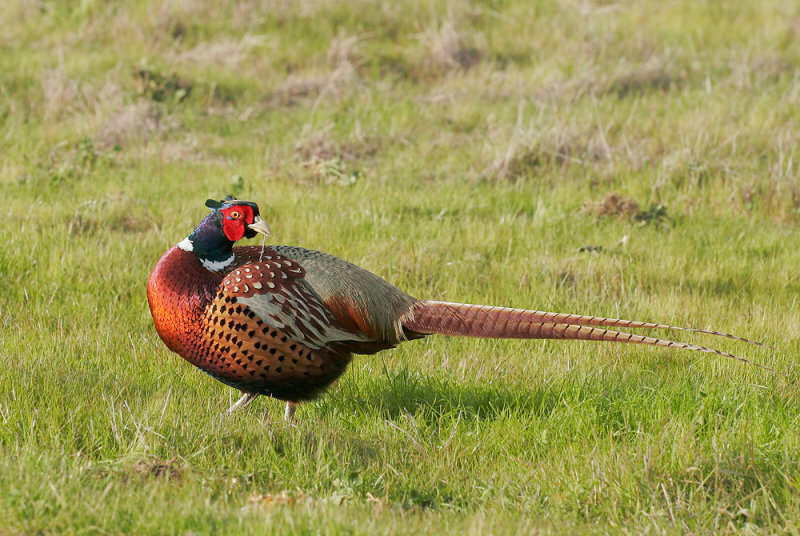 In some areas, however, wildlife agencies are working with private landowners to create favorable habitats for pheasants, giving the birds the cover they need for feeding, nesting, and roosting through the seasons. Today, though, industrial farming practices leave less and less for pheasants. Hedgerows are disappearing; weedy cover is burned or sprayed with weed killer; pheasant nests succumb to more frequent hay mowing; and livestock overgraze grasslands.